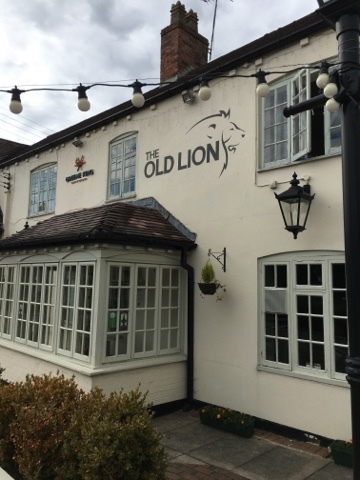 As part of a family meal we visited a 'local to them' pub called The Old Lion in Harborough Magna for a spot of food at a Sunday Lunch time. 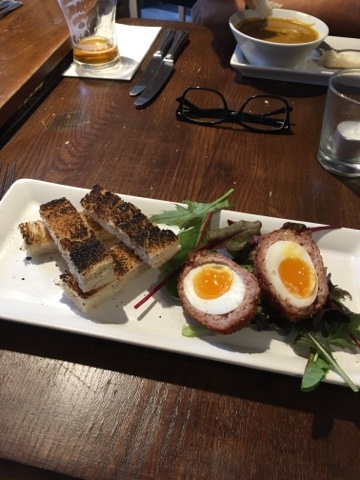 For starter I had a soft boiled Scotch Egg, which came with some grilled toast strips to dunk in it. It was actually really nice, and made a great change from the cold, rock hard Scotch Eggs of a picnic. Badgers. 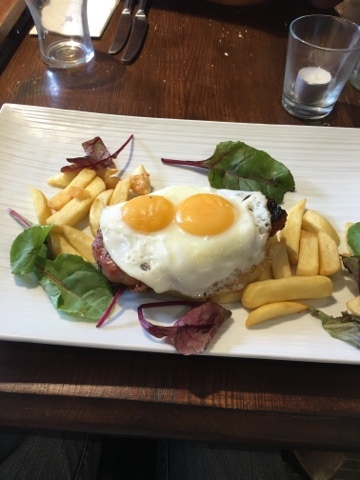 For my main I had a thick cut of gammon, crisply grilled on a bed of chips with two fried eggs on top. I decided to complement the happy occasion by modifying my leaves. 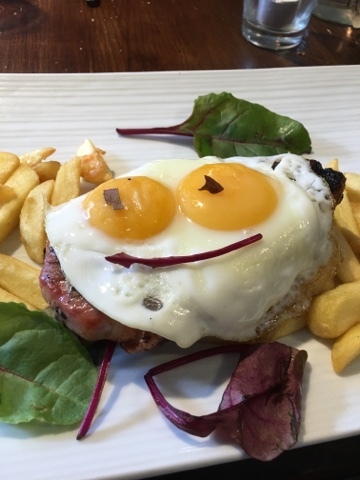 This is nice and smiley and matches my thoughts about the meal. The meat was crispy on the outside and soft in the centre, the chips had a good flavour and also had a satisfying texture. I'd been tempted by the traditional Sunday lunch but as it was quite large I got to steal little bits of Yorkshire Pudding from my neighbours plate to complement my speedily polished off meal. We didn't stay for pudding, but this came in at under £20 per head including starters and a drink which was pleasantly surprising considering this was not just reheated or carvery style. I'd happily visit again and try some of the other things on offer.